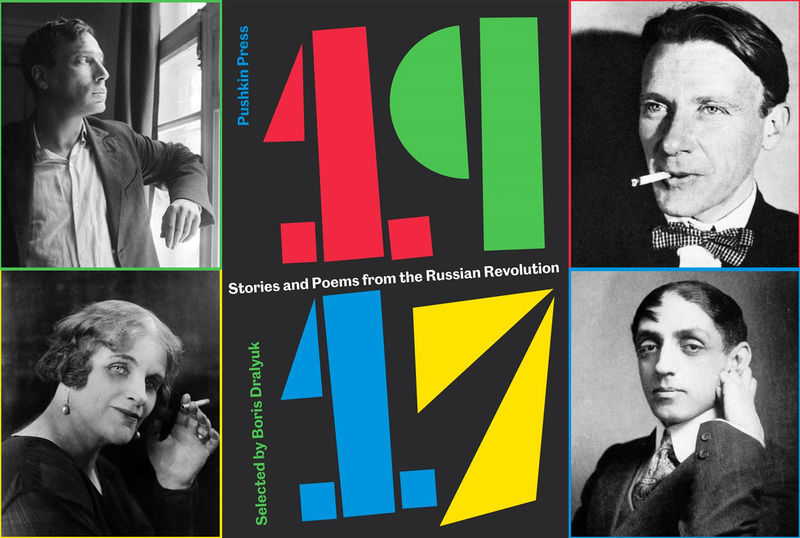 As part of efforts to mark the 100th anniversary of the Bolshevik coup d'état, Pushkin Press in London has published 1917, a new anthology that tries to shed light on Russian society during the historical upheavals of 1917-1919. The alcoholic metaphor is apt. In “Stolen Wine,” the opening section of 1917, Tsvetaeva (in Dralyuk’s translation) writes how raided cellars flooded every gutter, reflecting “a moon the color of blood.” Other writers are more hopeful. Boris Pasternak’s “Spring Rain” was written soon after the first revolution in February 1917, and it celebrates the energy of a collective chorus as the “surf of Europe’s wavering night” broke onto Russian streets. Poet Mikhail Kuzmin bursts joyously onto the page with “Russian Revolution,” exhorting readers to “Remember this – this morning after that black night,” conveying the “dizzying” sense of a world reborn. The poems also reflect a disruption of form. Traditional lines struggle to hold extra syllables. Dralyuk comments that Tsvetaeva’s “half-sprung, half-reeling rhythm”, mirrors her “apocalyptic themes and imagery.” The brutal onomatopoeias of Alexander Blok’s “The Twelve” help balance this work on a strange, precarious ledge between stirring ode to revolution and elegy for a fragmenting past. Translated from Yiddish by Michael Casper, Bergelson’s “Scenes from the Revolution” are glowing vignettes that encapsulate this sense of unease. The simple image of a red train, crossing snowy fields, contrasts with the “troubled hearts” of the watching passengers. Bergelson’s second, equally brief tale, conjures a “Bellybutton” dancing – grotesque and bestial – through happy crowds. The scene echoes Gogol’s disembodied nose, satirically roaming the streets of St. Petersburg, and prefigures Bulgakov’s Heart of a Dog with its deep skepticism about the new social order. In the center of this essential anthology are two pieces of characteristically sparkling prose by the satirist Teffi. Dralyuk calls her “one of the great, and most accessible, chroniclers of the tumultuous twentieth century.” Both sketches, translated by Rose France, feel disturbingly relevant today. The darkly comic dystopian vision of future bourgeois women queuing to be beheaded, in fashionable Marie Antionette wigs, symbolizes the ease with which social cataclysm can be normalized. Teffi’s embittered essay, “A Few Words about Lenin,” mocks the incompetent infighting between Bolsheviks and Mensheviks that has obscured the “great idea of socialism.” Like much contemporary political farce, genuine stupidity outstrips parody. Teffi seems to speak directly to our times, warning us, amid the “triumphal procession of illiterate fools and willful criminals,” to listen to the wisest voices we can find.